Though named after soft, nebulous masses, this piece clanks into being like hammers striking distant anvils. Perhaps these clouds are thunderheads? For indeed, even as the tones – emanating from Manning´s guitar and processed by Novak´s computer – become more amorphous and drifty, the ear is still constantly drawn in toward a low, recurring rumble. The two, now veteran collaborators, are masterful at attracting attention to the smallest detail, which may very well hold the deepest meaning. Koyuki – ”light snow” – is a small, prestige house established in Italy by fellow minimalists Shinkei (David Sani) and Luigi Turra, both of whom have released on Novak´s equally eminent Dragon´s Eye Recordings. All the artists and both the labels involved are interested in the thing in-between, the path of listening less travelled. As Small Clouds moves toward its end, the Thor-like hammerstrikes have been peeled down to their original source, small, pristine, maybe Oriental bells and cymbals. Or have Novak and Manning done the opposite, whittling thick, unbending steel down into pliable, fragile metal skins? Concurrent with the release of Relocation.Reconstruction is Some Clouds, a collaboration between Novak and Marc Manning. A thirty-two-minute, single-track piece available in a limited edition of 100 copies, the release appears on the Koyuki (light snow) imprint overseen by David Sani (shinkei) and Luigi Turra. The material is naturally in a long-form, minimalist vein, but it also sounds somewhat different from what one might expect, as Novak and Manning use multiple electric guitar improvisations in conjunction with laptop processing to generate the material. An undercurrent of low-level rumble acts as a connecting thread throughout, while blurry, silvery washes drift in, yes, cloud-like manner up above. The piece grows ghostlier, haunted even, as long plumes of muffled tones exhale with growing intensity until a state of calm settles in, with the piece’s multiple layers cohering into a thick drone. Framed by percussive accents that add a gamelan-like character to the work’s opening and closing sections, Some Clouds gradually disappears, growing ever quieter in its final minutes until it drifts entirely from view. 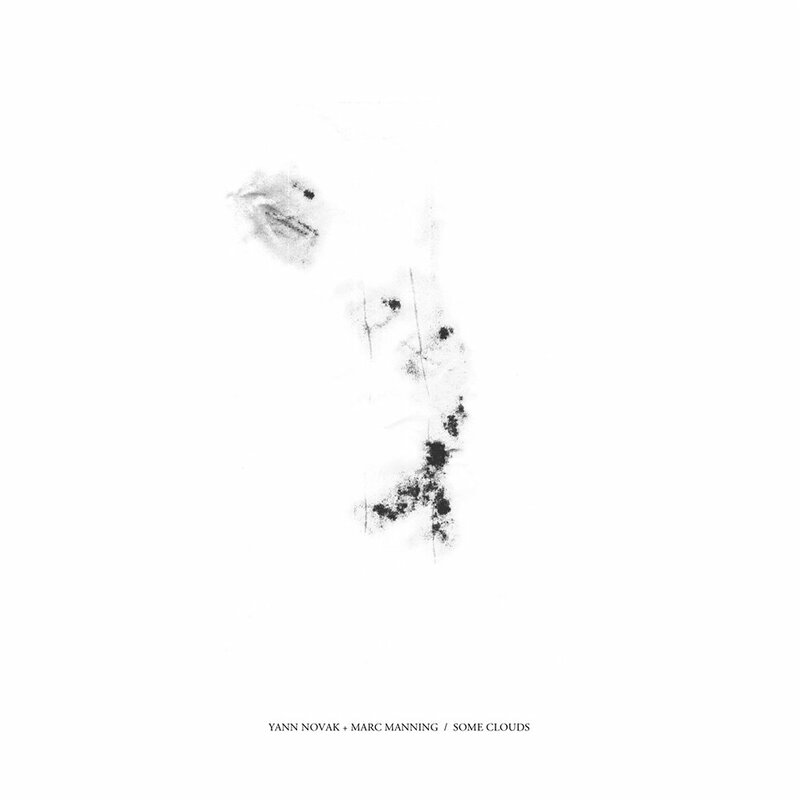 On Some Clouds, Yann Novak and Marc Manning continue their collaboration utilizing electric guitar and laptop and seek to explore the similar emotional states present in both there work. Always interested in pushing their collaborative process, the artists abandon there previous methods of live processing and chose to record multiple guitar improvisations and build the composition from altered versions of these.